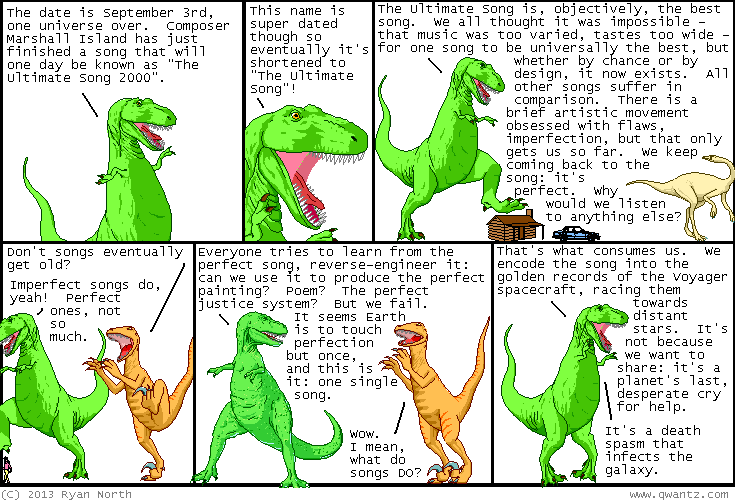 Dinosaur Comics - September 3rd, 2013 - awesome fun times! –A nostalgia-sauce sandwich of FREEBASED NOSTALGIA PILLS. September 3rd, 2013: I've linked these before, but now is as good a time as any to remind you of the Most Wanted Song and the (objectively much superior as it includes operatic hip-hop) Most Unwanted Song!